Don’t you just love barbecuing outdoors? Even if it’s not the 4th of July, having a fun time making some hot dogs, burgers, or steaks outdoors with a couple pints of beers in hand just does not get old. However, if your yard currently lacks a fine grill, there’s just no other way to fulfill a barbecue party whenever you want to. If you feel like hosting a barbecue party in your own yard but don’t have your own gas grill, don’t fret. 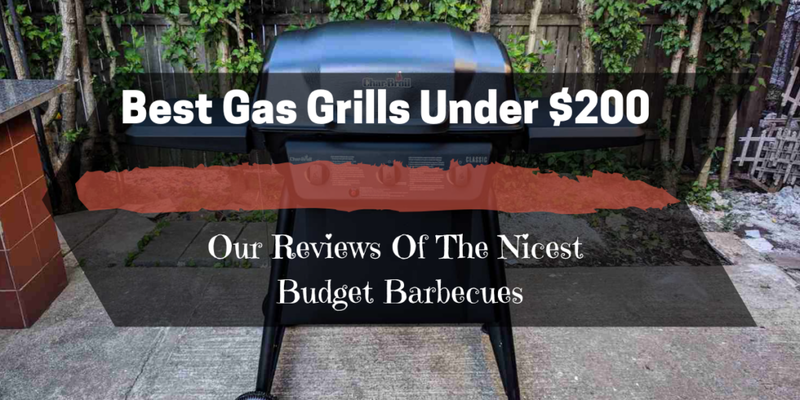 In this article, I will be sharing with you a complete guide on how to get the best gas grill under $200. A good gas grill is a nice addition to any home. With this, you can whip up your best outdoor barbecue recipes. It doesn’t just make grilling good a lot more convenient, it also makes your outdoor space more attractive. Gas grills are also easier to use than charcoal grills. Most people struggle to start up a charcoal grill. It just uses up a lot of time and energy. You can cut to the chase and use a gas grill instead for convenience. Before we get into which gas grills you should check out, let us first discuss the different types of outdoor grills you will be able to choose from in the market today. Gas grills are probably the most common type of outdoor grill that you will find in the market today. These types of grills often run on natural gas from your provider or from propane tanks. However, even though gas grills can run on both gas sources, most that you will find today run on propane, but can easily be converted into natural gas. Gas grills are ideal for cooks who are always in a rush. 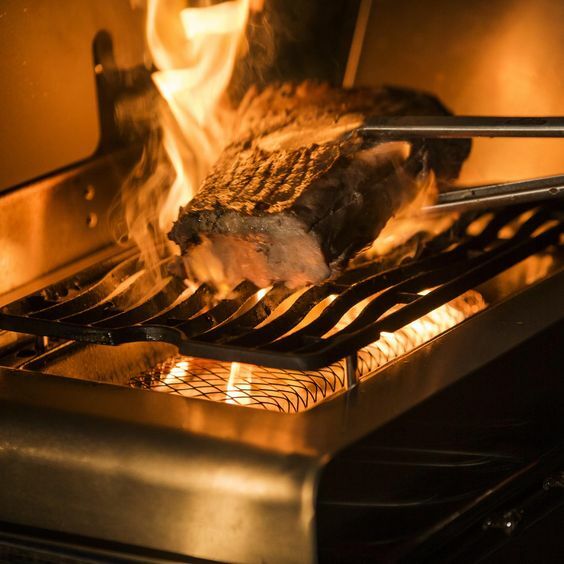 Since the gas can provide you with instant fire, you will be able to heat up your grill within a short amount of time. These types of grills are also very easy to clean, unlike ones that run on charcoal. Perhaps the only downside to gas grills is its lack of flavoring. Since gas grills run on gas, the food you cook in it doesn’t get a smoky or woody flavor that you can get from charcoal type grills. 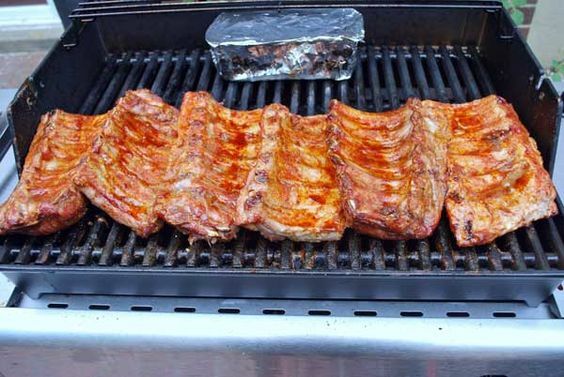 What’s more is that these grills tend to be a whole lot more expensive than the more practical charcoal grill. As its name suggests, charcoal grills run on charcoal or wood chips. Charcoal grills have its fair share of advantages and disadvantages. 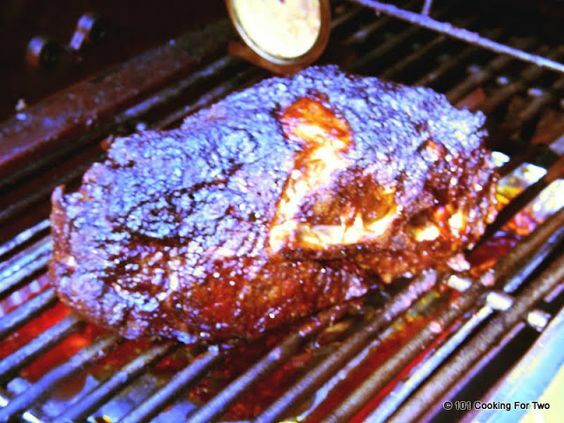 One of its most sought-after advantages is that it gives your food a smoky and woody flavor (if you are using wooden chips) that you cannot get from other grills. 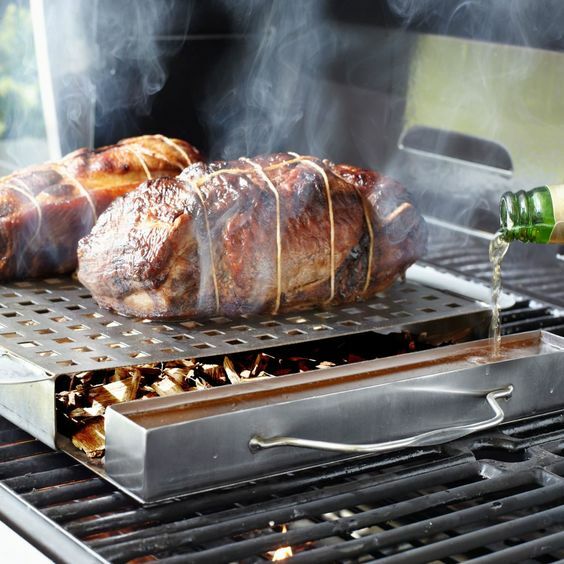 This type of grill is ideal for old-school purists who crave for the smoky barbecue taste. This is not a grill for people who are not willing to wait. If you haven’t tried using a charcoal grill before, you should know that it’s pretty hard to start up. Getting a bunch of coal to catch fire will require you a lot of effort and time, especially if you are a beginner. Charcoal grills also require a lot of culinary experience. Since charcoal is a very volatile material, you will have to be very skilled in measuring the temperature that it gives out. You would also have to know how to organize your grilling surface according to the heat levels of your burning charcoal. Needless to say, the charcoal grill is a great tool that can give you great food, but only if you have the skill. Electric grills require no gas or charcoal. It runs solely on electricity, allowing you to cook food on grill plates that get heated up by the electric current. 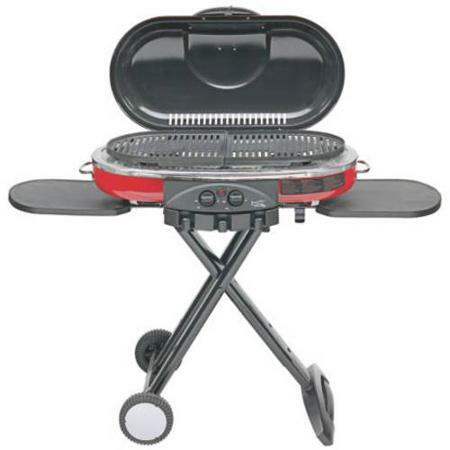 You will find all sorts of electric grills today, some can be used indoors, while others can be used outdoors. It’s ideal for people living in the city since it’s not as much of a fire hazard like gas and charcoal types. Perhaps the only downside to these types of grills is that if the power goes out, so does your barbecue party. And there’s also the fact that it doesn’t give off a smoky and woody flavor to your food since the flavor is lost when electricity is used. Portable grills can run on gas, charcoal, or electricity. The main thing that portable grills have in common is that they can easily be transported. Portable grills come in all shapes and sizes. Some come in a suitcase-looking box that you can easily carry around when you are camping, while others come in larger sizes that are easy to transport but requires a bit of assembling on-site. Portable grills are ideal for the thrill-seeking outdoorsman who likes to go hiking, camping, fishing in a lake, or going to places far away from civilization. The only downside to these types of grills is their size. To compensate for its transportability, you’d have to sacrifice a large grilling surface. This means less food can be cooked at the same time. You can find a bunch of gas grill on the market today ranging from under $200 up to over $20000. And as the saying goes, “you get what you pay for.” Though some people may argue that cheap gas grills do not perform as well as high-end ones that are worth thousands of dollars, I beg to differ. I really think that at the end of the day, it all boils down to your grilling skills. There are a lot of features that you may want to be mindful of before you make a purchase. There’s size, smoke boxes, price, and the number of burners. What I recommend for you to get, is a nice big gas grill so that you wouldn’t have any trouble cooking plenty of food at the same time. Unless you are planning on cooking for a large crowd, you will do just fine with a small grill. Otherwise, you should go with one that can grill at least 6 burger patties at a time to ensure that you and your guest wouldn’t go hungry waiting for all the food to finish grilling. The next thing you want to look out for is the number of burners. Try to choose a gas grill with at least two burners. If you can find one with 3 burners that’s within your budget, go ahead. The more burners your gas grill has, the better. What’s great about having multiple burners is that it allows you to create several cooking zones that will let you have a linear cooking process for continuously putting food in and out of your grill. Multiple burners will also allow you to cook different types of foods at once since it eliminates the need to worry about the doneness of your foods. The last thing you want to check out before you purchase a gas grill is the overall quality and build of the product. Consider the fact that you are working with a product that can produce hazardous flames. It is only wise to make sure that the gas grill you are choosing can stand sturdy and can contain the fire it creates. This inexpensive grill might just come with 2 burners, but it does offer a fairly large cooking surface – 280 square inches of cooking space, in fact. The grates are porcelain-coated so food won’t get stuck on the surface so easily. There’s a handy side burner that you can use to simmer your barbecue sauces or use to cook additional food for your party. It’s a good gas grill that can hold up well against varying temperature conditions. You can leave it outdoors and not have to worry that it will not work anymore come the next summer season. 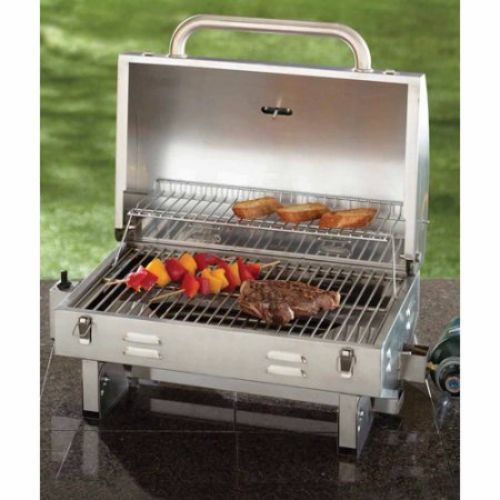 It also provides extra storage space, so you have everything you need for grilling. 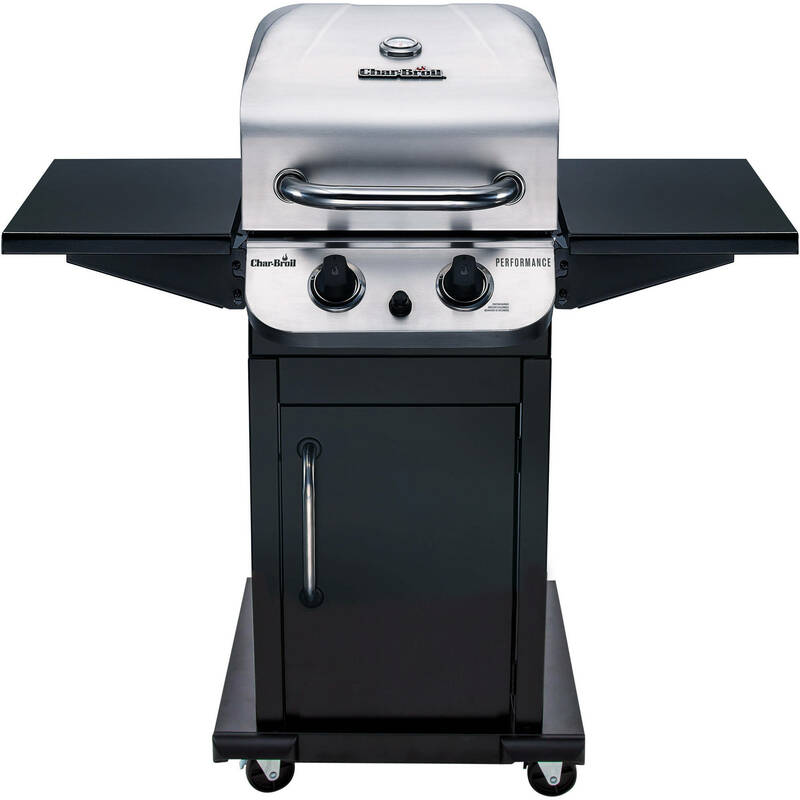 This 2-burner gas grill is one of the best gas grills you can find in the market today. What’s great about this gas grill is that it comes with a porcelain coated cast iron grate that will require minimal effort to clean and maintain. It also comes with a stainless steel lid that comes with a temperature gauge for easy and accurate temperature monitoring. It even has an electronic ignition for quick and easy start-ups. It’s also very big with a 300 square inch cooking surface that will let you cook lots of burgers and hot dogs all at once. Another 2-burner gas grill in this list is the Smoke Hollow Barrel Grill. This grill comes with a porcelain-coated wire cooking grid and heat tent that makes for easy cleaning and maintenance. 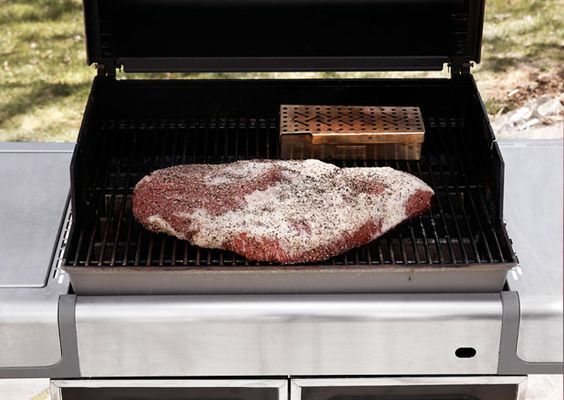 It comes with a 20-inch wide and 16-inches deep barrel size that will allow for high heat distribution during cooking, therefore making the overall grilling process a whole lot quicker. What’s more is that it comes with two stainless steel burners that will let you create several cooking zones so that you will no longer have to worry about the doneness of your food when you are cooking different types of foods at once. If you see yourself as an outdoorsman, the Coleman RoadTrip Propane Portable Grill LXE might be the best choice for you. It comes with Swaptop interchangeable cooktop such as a griddle, a full-size griddle, and stove grates for added meal options. It also comes with an Instastart ignition for completely matchless lighting and PerfectFlow technology that ensures consistent performance even in the harshest conditions. It is also fairly easy to assemble since it comes with a foldable build that you can set up in mere seconds. This might be a more expensive option, but you are getting 4 burners instead of just 2. It’s great for those who are looking for a bigger cooking surface and who want to cut down their grilling time. In addition to the 443 square inch of grilling surface, you also get a 167-square inch surface to be used as a warming rack. The grates are made from cast iron, making this easy to clean. It is also a material that boasts of durability. It comes with an easy-to-understand control panel for efficient usage and operations. A little bit more expensive than others. If you are looking for a grill that you can use when throwing big parties, get the Cuisinart 4-Burner Gas Grill. It’s a workhorse and you won’t be disappointed with its functions. For those who go camping a lot and in need of a grill that can be lugged around with ease, the Coleman RoadTrip Propane Portable Grill LXE should be a good option. It is durable, so it can withstand a bit of rough handling. The Smoke Hollow Propane Gas Barrel Grill is for those people who grill different types of food. It has different cooking zones, so you can get the right temperature for more delicate foods. 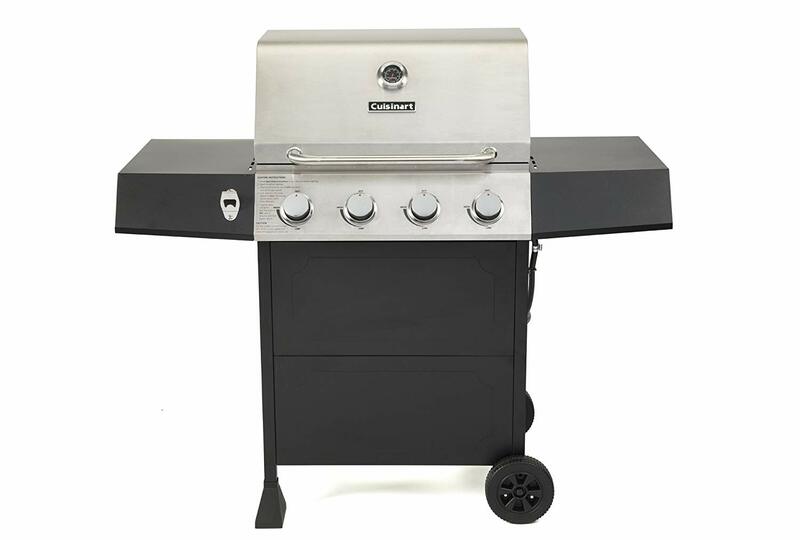 The Char-Broil Performance Gas Grill should be ideal for those who are looking for a reliable grill that has a big cooking surface while the Char-Broil Classic Gas Grill is a cheaper alternative that has similar features to the previous one from the same brand. 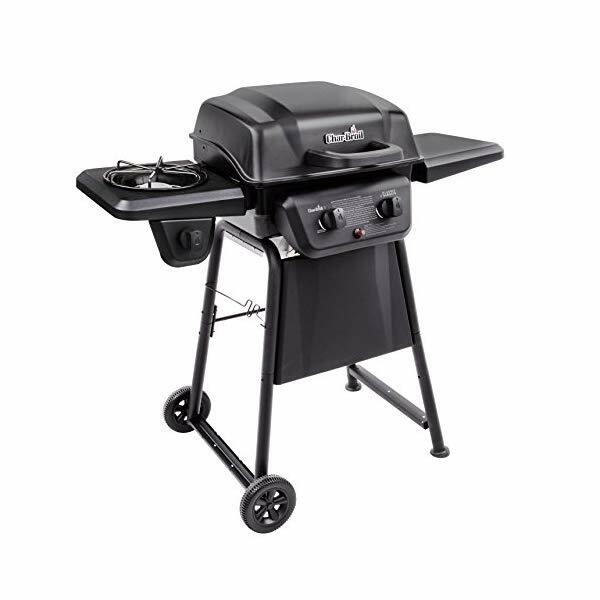 Get the best gas grill under $200 if you are always in a rush to cook and leave for somewhere, like this Char-Broil Classic 280 2-Burner Liquid Propane Gas Grill with Side Burner. It is affordable and can endure varying temperatures. If you are looking for more grilling products and equipment, check out our homepage. You can find helpful buying tips as well as product recommendations, so you can find the right products to build your cooking arsenal.